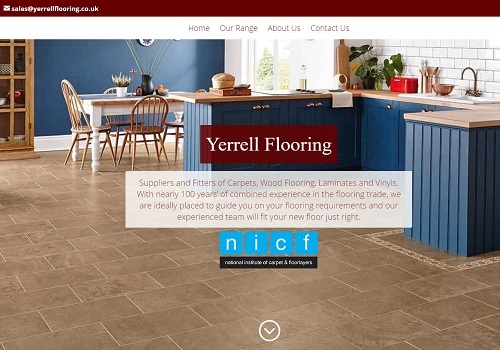 Chesham based Yerrell Flooring has been established since 1989. 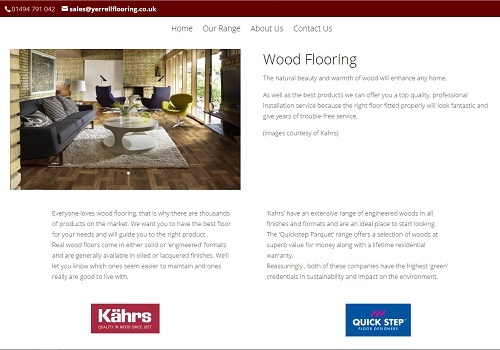 They supply and install the full range of floor coverings including carpets, laminate & wood flooring, luxury vinyl tiles (Karndean/Amtico etc), cushionfloor & contract vinyl. Their team has over 100 years of experience. They are a family company with a strong focus on service and accurate time keeping. 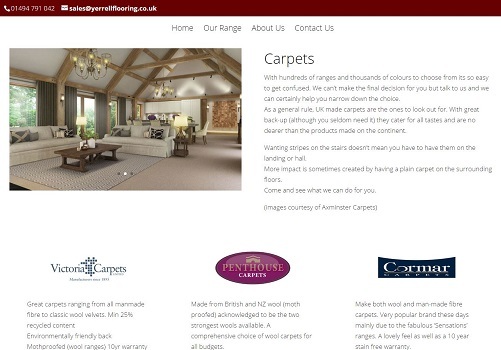 The new website needed to demonstrate their experience, the broad range of floor coverings offered and their main suppliers. The design is visual with good imagery to appeal to a wide audience.